It's almost Christmas, and Truffle is excited to see what Santa will leave under the tree! 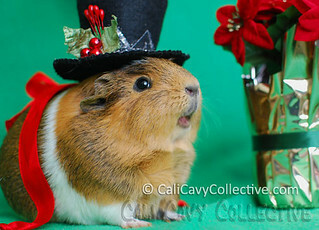 She was so excited, she even came up with her own holiday Piggy Song. 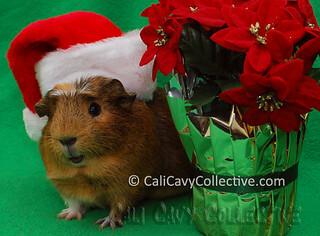 "'Tis the season to be hungry, fa la la la la..."
Oh we love this, please enter your pigtures on our undercover guinea pigs as well! Great. Now I have that song stuck in my head! PaintedThread, "pop pop pop" does give a great visual, doesn't it?